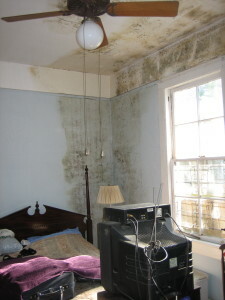 Most people associate wet weather with mould, but there are other major sources which can be to blame. One is as a result of poor building construction, which unfortunately we can’t do much about after the fact. But we are able to control the moisture contribution of other major sources: our laundry, kitchen and bathrooms. Appliances used in the laundry and kitchen (washing machines, driers, dishwashers) and the condensation which occurs when taking a shower are often major contributors towards moisture accumulation and breeding of mould. Inside homes, it is therefore necessary to ensure damp and enclosed areas are well ventilated at all times. Opening a window, placing a Pingi Moisture Absorber in cupboards or larger areas, and mopping up excess water will go a long way to reducing your mould problem. Some other useful tips for preventing mould include washing mould off hard surfaces and drying them completely, using exhaust fans or opening windows when showering, cooking, or using the dishwasher (Katelaris, 2012). Using a Pingi Moisture Absorber for those times you can’t open a window, or for enclosed areas where air ventilation is difficult, will make a significant difference in your fight against mould and related health problems.